Welcome back to our ongoing series on simplifying your small business workflow. If you’re just joining us, it’s not too late to catch up! So far, we’ve caught up with Olivia the Ops Manager, Grumpy Gus the Sales Rep, and Debbie the Customer Service Manager. 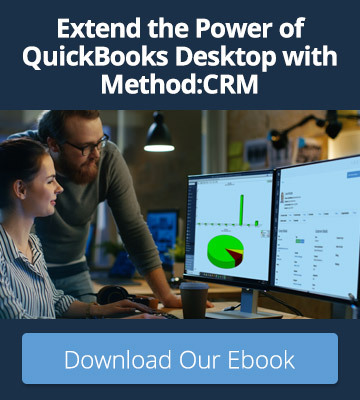 In each case we’ve illustrated how a CRM for QuickBooks helped make their jobs easier. 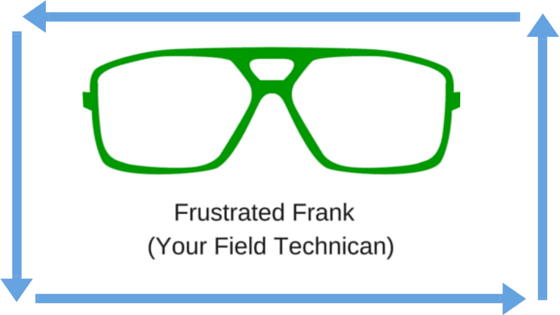 This week, let’s venture out into the field and find Frank, your frustrated Field Technician. Frank spends his days out on the job for Backyard Masters – it’s his expertise and commitment to quality that gets those amazing decks built. But deck building isn’t as easy as the layman might think, and things can change on-the-job pretty quickly. Frank finds himself trying to keep track of additional inventory needs, additional charges for unique work, and hours logged on the job all through a complicated system of “scribbling things wherever he can”. At the end of the work day Frank gets to start what feels like his second job of going through the days’ notes, trying to make heads or tails of his on the fly notes he jotted down while doing his actual job of building a fantastic deck. Frank’s frustrated. Frank’s fuming. Frank’s fully ready for a new solution. This is where a CRM for QuickBooks with a field services peripheral can really fix the flaws in Frank’s workflow. Instead of jotting down notes on whatever he can get his hands on, Frank can use his mobile device to update invoices in real time, log hours worked, and order new inventory items all from the job site. Because Frank can access the customer database from the road, he tracks customer conversations, next steps, and job notes right from the job – no more waiting to enter customer info when he arrives back at the office. And if he gets lost, he can look up the customer address in Method:CRM from his phone and make use of Method’s mapping and routing tool. With the team tracking and scheduling service requests in Method, Frank arrives every day to find his daily service schedule ready for him. This speeds up service and allows Frank to get to more customers in a day, a benefit also experienced by the mobile team of technicians at HealthLinc. The power of mobile lets Frank update his customer’s invoices with new line items directly from the job site, and when the invoice syncs with QuickBooks, all the changes he made are automatically duplicated for Olivia without Frank having to input the information twice (or find it on the back of a napkin). 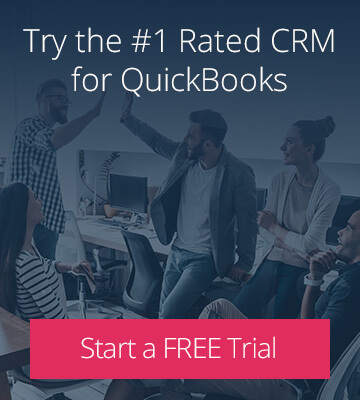 Interested in hearing how other small businesses have found success by integrating their CRM with their QuickBooks? Check out their stories here.